Why do disagreements have to become so, well, disagreeable? 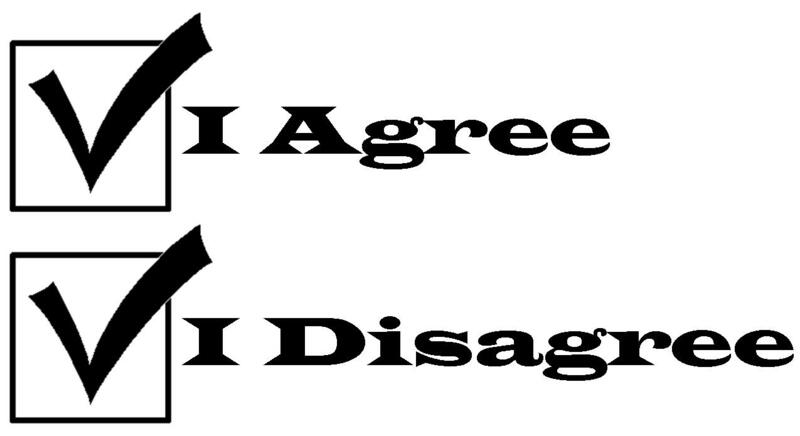 Is it possible to disagree agreeably? It’s not easy, but I think it’s possible. Remember the person I’m disagreeing with is my brother or sister. God has created both of us, so that makes us siblings. Always go for win-win. Don’t look out only for your own interests, but take an interest in others, too (Philippians 2:4). Redefine the “win.” What does it mean to win? Is it to put someone else in their place? That doesn’t seem very healthy. Perhaps a “win” is when values or principles are agreed to, although the way they are applied may be very different from person to person. Leave baggage behind. Don’t bring previous hurts into a new situation. Don’t assume this new person will act like someone else from your past. We’re all different people, so we’re going to have disagreements. The key: let’s find a way to disagree agreeably. If you have other thoughts about how to disagree agreeably, please share them in the comments.